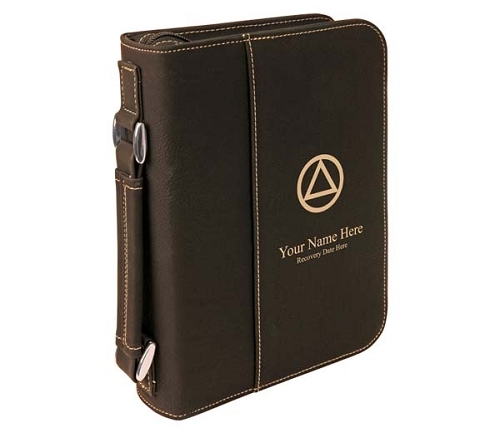 This beautiful leatherette book case is expertly laser engraved with our familiar AA Circle and Triangle. You name and recovery date may optionally added for no additional cost. Unique to the Black Leatherette Book Covers is the gorgeous gold color engraving effect. It contrasts beautifully with the soft black leatherette!